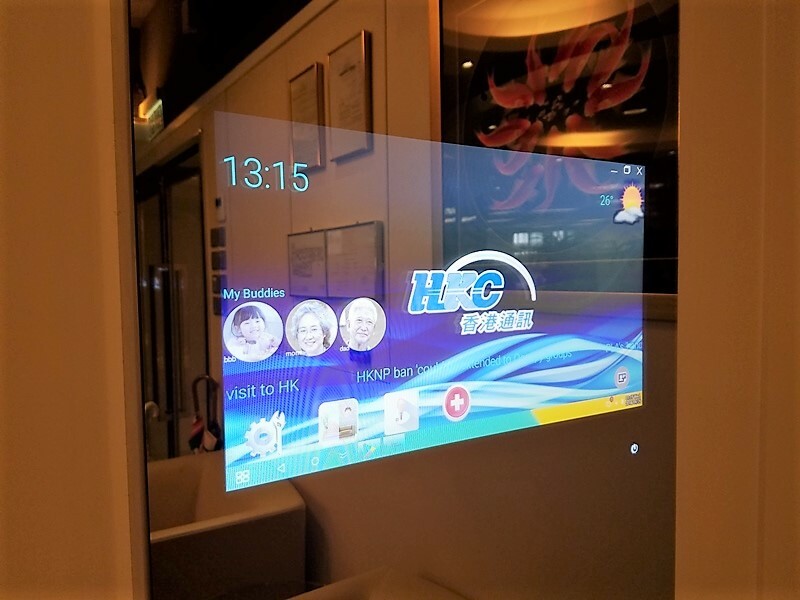 HKC has provide a Smart Mirror to construct an IoT environment while user can easily have a nice cooking experience. 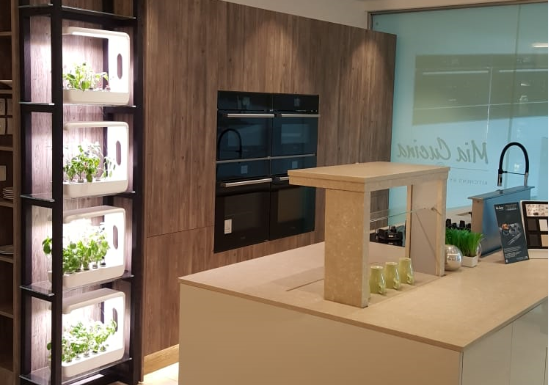 Integrate with Carrot Home Automation System, users can control kitchen electronic devices such as lighting, audio visual, air conditioning by one touch on smart mirror, control smart locks for opening or locking kitchen cabinets, view daily information such as time, date, temperature and RSS news. Android based widget for users to customise and download more Apps from Google Play Store! 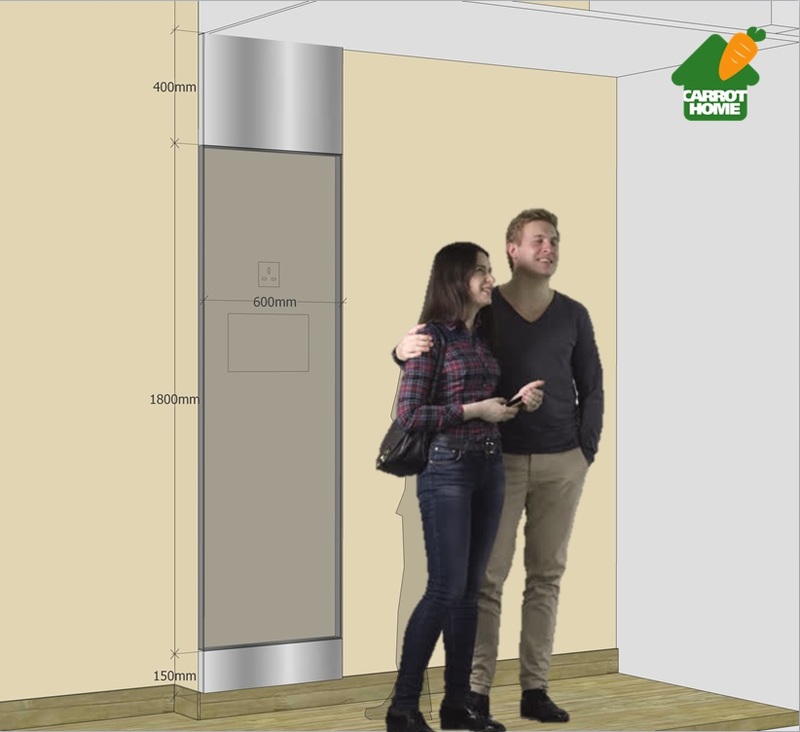 In this example, we propose to split the full height mirror (600mm x 2350mm) into three separate mirrors as shown to the left. The upper and bottom mirrors are normal clear-type mirrors that are bonded to the wall surface using adhesives. 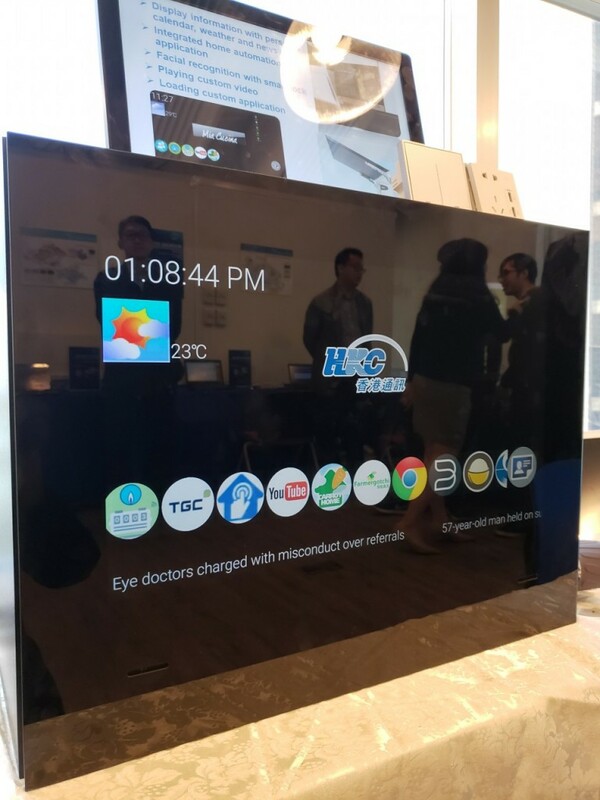 The middle portion is made of the Smart Mirror. A wall-box is to be embedded inside this partition wall and the smart mirror (shown in dark gray) will cover this wall box. A power connection is to be provided by others inside this wall box. 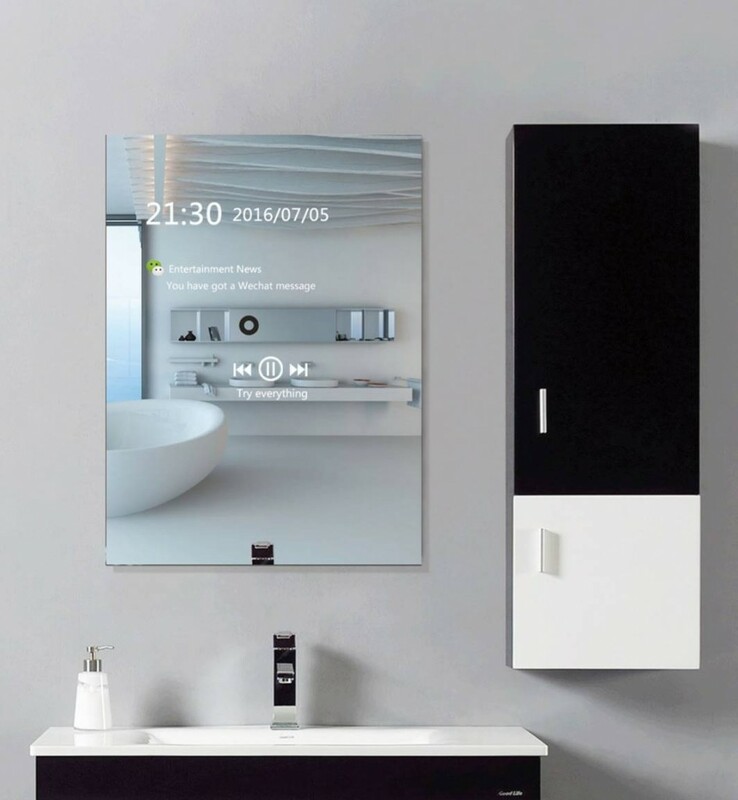 This Smart mirror is mounted on the wall box using special fixing accessories that enable the mirror to be removed from the front side for maintenance purpose. The smart mirror can also connect to optional external ceiling speakers for better sound quality.